11 dedicated volunteers met armed with their weapon of choice. It was a day filled with the sounds of a raging chainsaw, the snapping of vines from Elaeagnus and volunteers yelling ‘TIMBER’ followed by crashes from big pest trees hitting the ground. 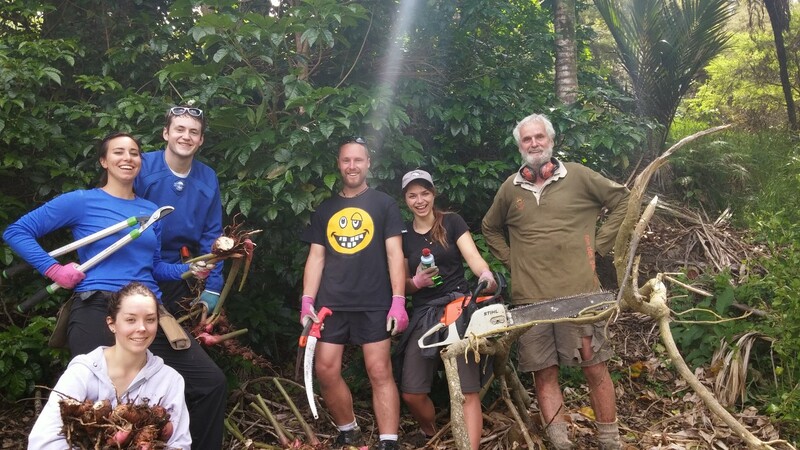 [/caption] A great Sunday spent destroying invasive plants to protect the Okura bush reserve. With many hands working the pruning saws we managed to cut down and paste the stumps of about two acres of woolly nightshade and monkey apple that was infecting regenerating native bush along the track from Stillwater to Karepiro Bay. This part of coast is a major anchor point for our wild life to flow from Tiritiri Matangi and Shakspear Park through the mainland. 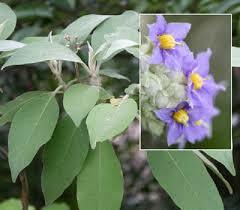 Weeds are a form of biological pollution. They pose a huge threat to our last remaining stands of native forest. With an influx in birds expected from all the wonderful predator control underway we can only expect more seeds being dispersed. We want our birds to be moving the right kind of seeds around. ones that grow into native trees. The removal of these Green aleins now will also save hundreds of thousands of dollars and hundreds of thousand of liters of herbicide from being sprayed to clean up a major mess that could be resolve in the early stages. A problem is only out of control when it is beyond control.